Learn Microsoft Word 2016 For Beginners - Basics to Advanced | Free eBooks Download - EBOOKEE! Posted on 2017-04-06, by everest555. Learn what's new in 2016. Now you can be up to date in order to be a true Word power user. With 6 hours of expert instruction, you have an opportunity to cover every inch of Word 2016. 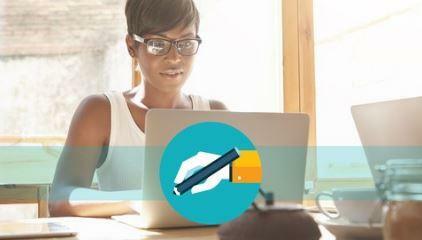 Now you can become a master at using one of the world's most popular computer applications - Microsoft Word. Learn Microsoft Word 2016 For Beginners starts with what is new in this latest version. If you already know Word, this can help you get up to speed with 2016 right away. Next we start with a blank document and learn how to create spacing, character choices, save, editing, search and replace, and much more. Chapter 3 goes into character formatting including cut, copy and paste, auto-correction options, and format painter. We also learn about working with numbers, bullets, and creating an outline. Then the course covers paragraph formatting, managing lists, and all aspects of creating tables. Because you want your pages to look good, we teach how to control page appearance, sectioning, and all about using graphics. Learn how to print envelopes, mail merge, along with a practice exercise. These practice opportunities come at the end of each module. Finally, the course covers using the Thesaurus, spell check, comments, margins, printing and much more. You will also learn about time and effort saving Macros that let you speed through assignments and projects. No comments for "Learn Microsoft Word 2016 For Beginners - Basics to Advanced".